These bacteria live within our mouths in the dental plaque that grows on your teeth. Plaque is the soft film that makes your teeth feel fuzzy. Your mouth is the perfect place for these bacteria to grow because our mouths are warm, moist and dark. Furthermore, there’s plenty of “food”, and, for the most part, the bacteria are undisturbed. We have learned that most bacteria live in communities called biofilms. These bacterial biofilms work together to grow, repopulate their colonies, and they thrive happily in your mouth, on your teeth, your tongue, and even in the furrows of your tonsils. They are alive and become more and more toxic as the bacterial population grows and grows. Most interestingly, biofilms help the bacteria to protect themselves from the body’s natural defense mechanisms. 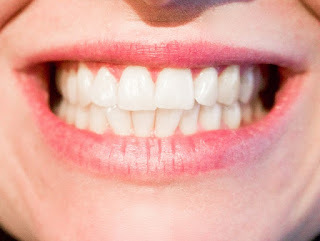 It is bacterial biofilms in our mouths that feel slimy on our teeth. This is where good dental hygiene comes in. We can break up biofilms and remove plaque from our teeth by brushing, flossing and many other means. #1. Brushing matters. Reduce plaque build-up by brushing twice daily. Remove as much plaque as possible. Use a good quality electric toothbrush - they really do work best. Clean in-between teeth with floss, Waterpik irrigation, Piksters, or other tools that reach in-between the teeth. Reducing the amount of plaque biofilm and its bad bacteria is vitally important. Less plaque = less bacteria = less acid = no cavities! #2. Diet Matters. Pick foods that don’t stick to your teeth. The stickier the food or drink, and the longer you are sipping or snacking on it, the more tooth decay potential. If you must sip or snack, then rinse with water between bites, sips or snacks. Foods with proteins and fats are healthier because they don’t cause a lot of lactic acid. No acid, no cavities, period. Reduced lactic acid production means less decay potential. Another secret weapon in my arsenal is a healthy sugar called xylitol. This is a sugar that’s safe to eat, even for diabetics. Xylitol reduces the amount of plaque on the teeth by 60%! It also increases saliva flow, and it tastes great! Saliva is vital to teeth health. It raises the pH of the mouth, bringing it back to neutral or alkaline. Saliva contains the minerals your teeth need to be strong. When there’s a good salivary flow, minerals flow from the saliva back into the teeth. Saliva also washes the plaque away, so less saliva means more acidic plaque buildup. Chewing crunchy foods produce more saliva. Your teeth need certain nutrients to prevent tooth decay. Furthermore, Yes, they really can heal themselves with the right nutrients. Vitamins A, D3, K2 and Magnesium help the teeth fight the bacterial invasion and heal the teeth from the inside out by making what’s called secondary dentin Teeth need all of these nutrients working together to heal, remineralize the teeth and maintain healthy oral bacteria. It’s always best to get your nutrients from whole food sources. As we previously discussed in the post about Dr. Weston Price and nutrition, what you eat matters. Fermented Cod Liver Oil soft gels for your Vitamin A and D3, supplements of K2 as well as chelated Magnesium are your insurance policy for helping teeth repair themselves. #5. Water matters. Rinse between meals, and only water after the last brushing of the night. This is also vital for children after age 12 months. Please, no bottle with milk or juice in bed. The best dentistry is no dentistry. Prevention of tooth decay is always best. Remember: eat fewer sticky foods and eat good healthy whole foods, rinse with water and consider taking supplements to heal, and prevent tooth decay. 2 Nayak, P. A., Nayak, U. A. and Khandelwal, V.
3in, A., Topics, H., Diet, T., Program, H., Lin, W., Lin, C., intrest, P., Nutrition, D., Remedies, N., Microbiome, P., Connection, M., Development, K. and Recipes, P.
4 Woo, S., Lim, H., Jeong, K., Kim, S., Kim, W. and Jung, J. Nice Article! Very Helpful for all who is suffering from tooth decay! I was looking for the best dentist in Jaipur and No doubt, Mr.Dorwal ranks among the Top Jaipur Dentist. He effectively treated my crooked teeth through orthodontic measures & straightened the misaligned teeth. I am glad that I chose Mr.Dorwal’s dental hospital in Jaipur from all dentists in vaishali nagar. I would strongly recommend Mr.Dorwal’s dental clinic from all the dental related problems! Thanks for shared that informative blog with us. Teeth cleaning is very important for oral health, and also for our overall health. Here I am also offers best dental treatment at Dental Specialist Near Me in New York.